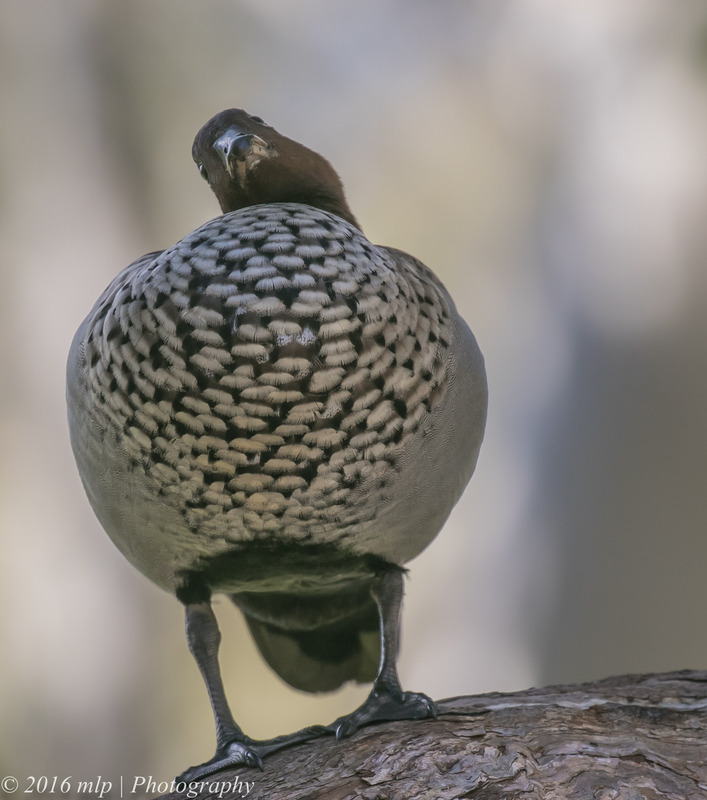 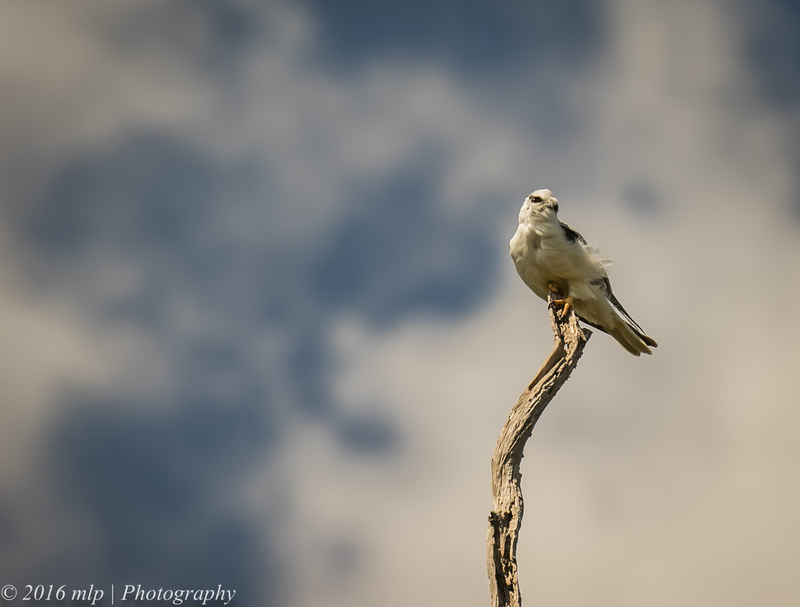 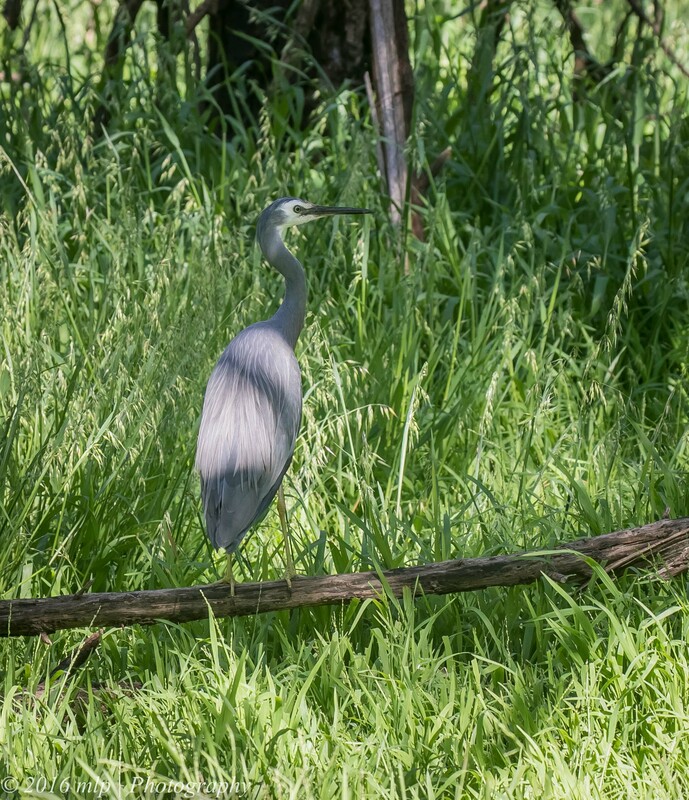 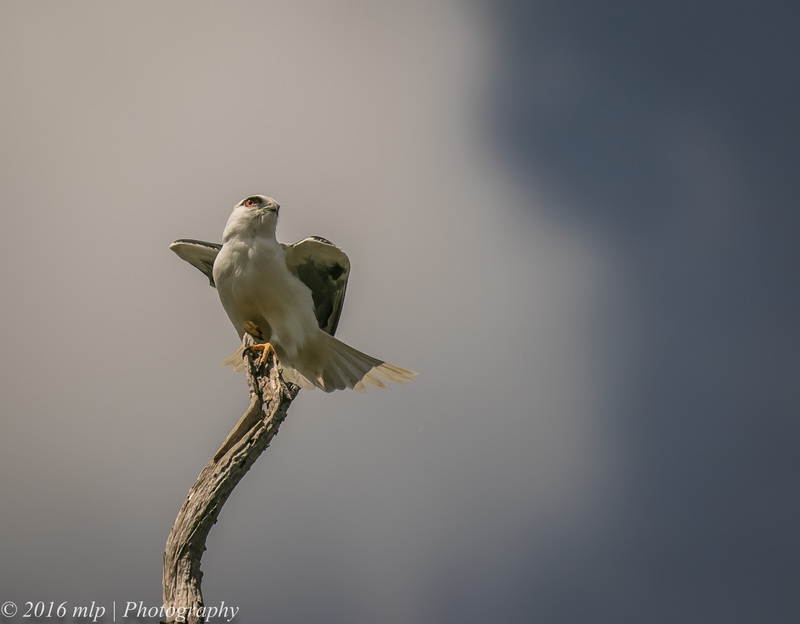 I have been looking for this bird species since I started birding a few years back. 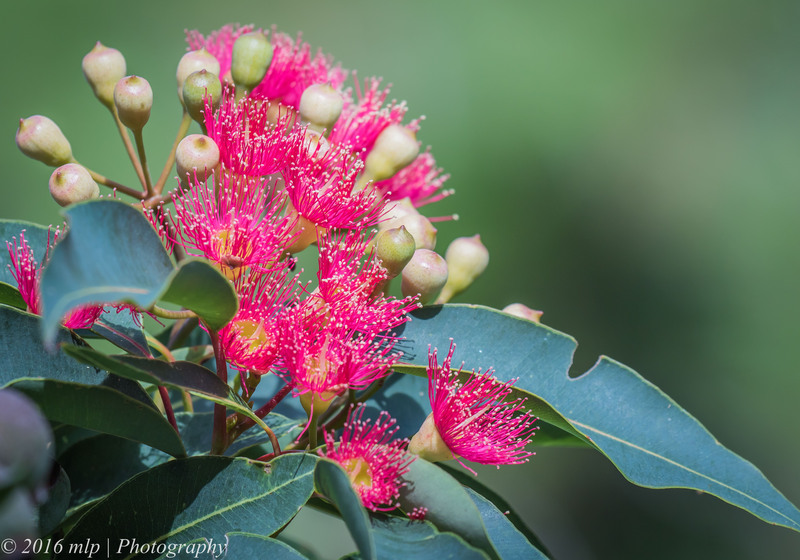 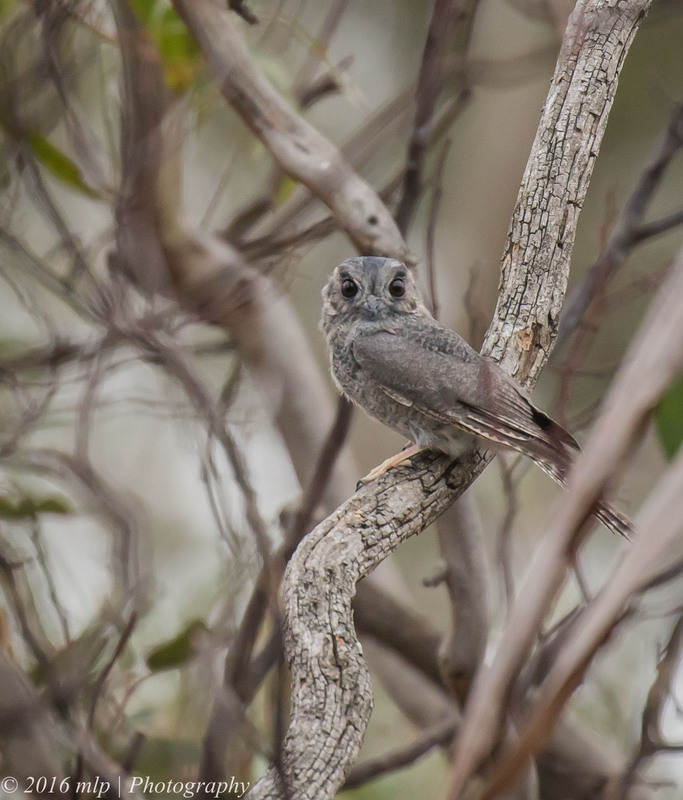 It can be found in most old growth and mature new growth forests with lots of tree hollows. 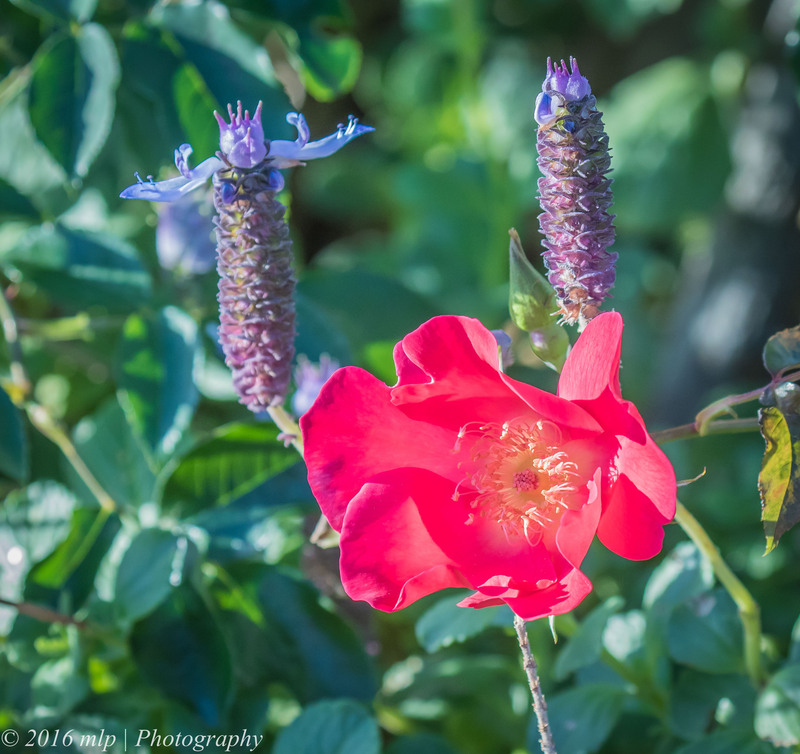 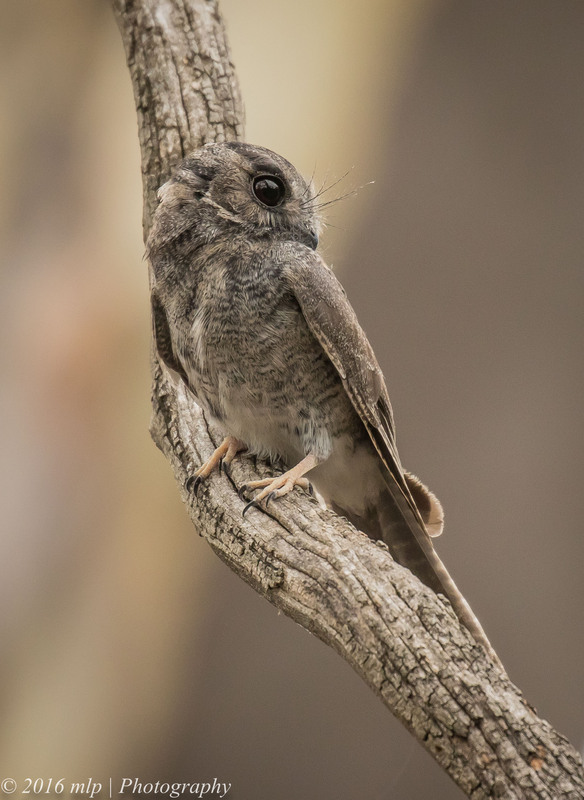 It is often reported first thing in the morning sun-baking on the edge of its hollow. 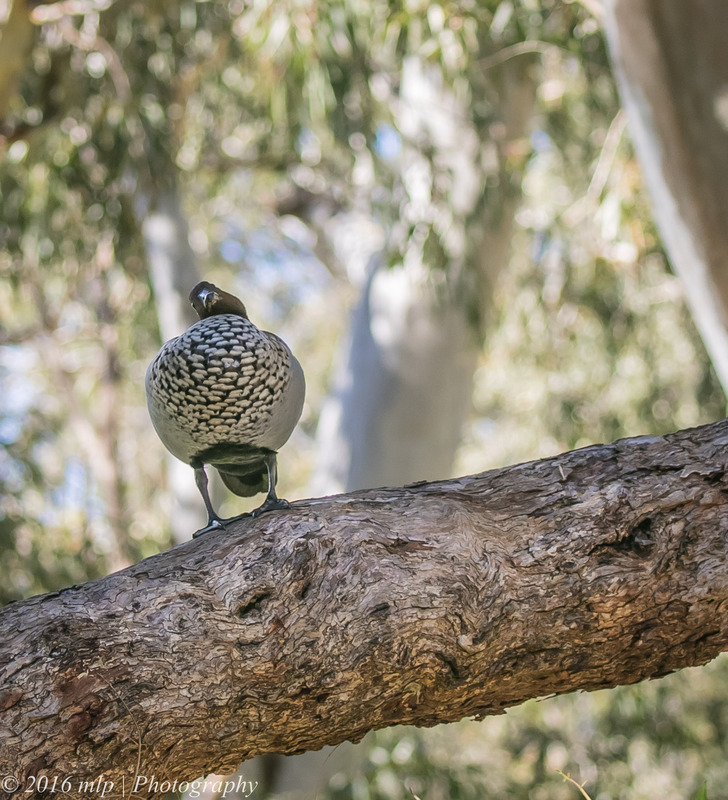 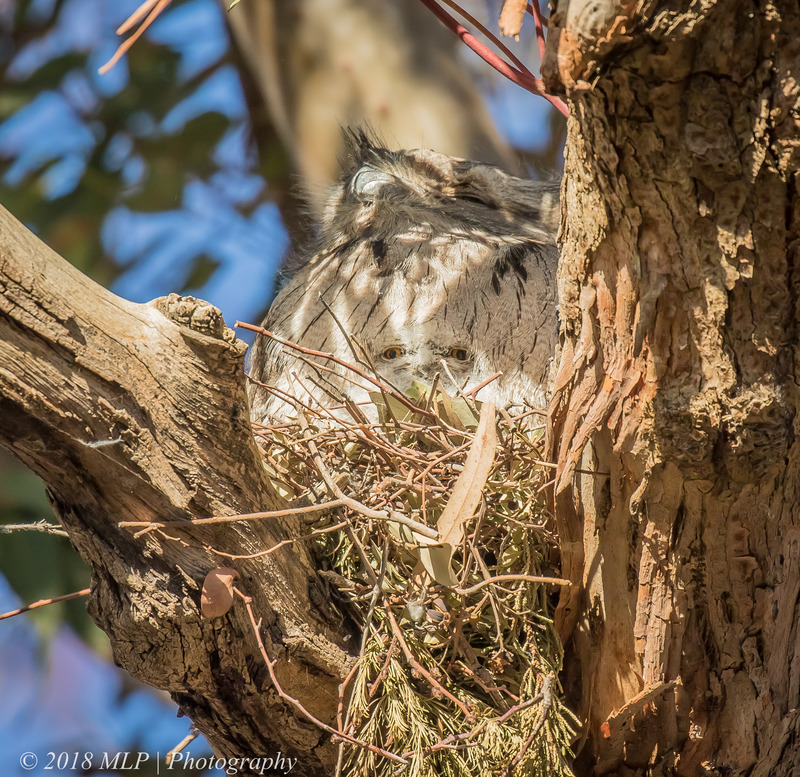 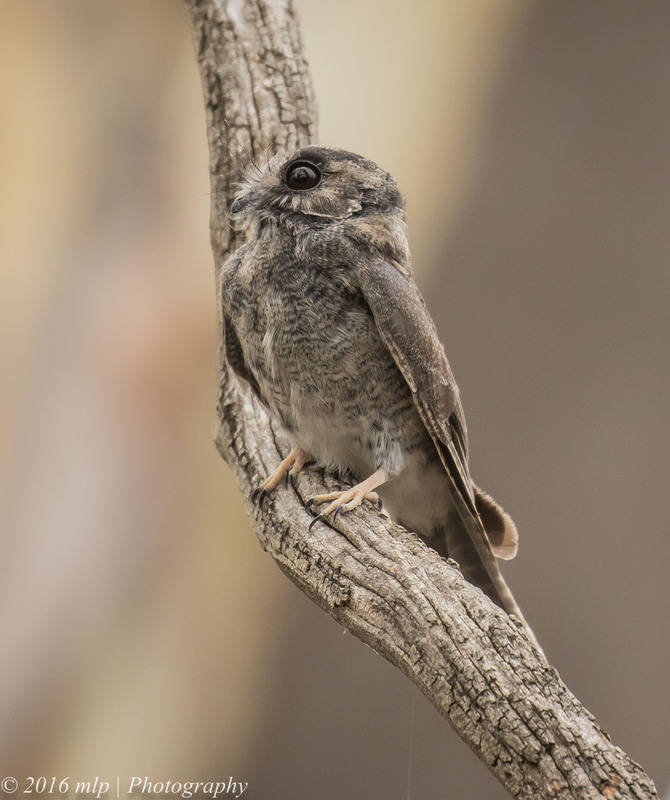 Over the last several years I have looked into every hollow in just about every tree I have walked past…while I have found many possums and one Boobook owl I have never found an Owlet-nightjar. 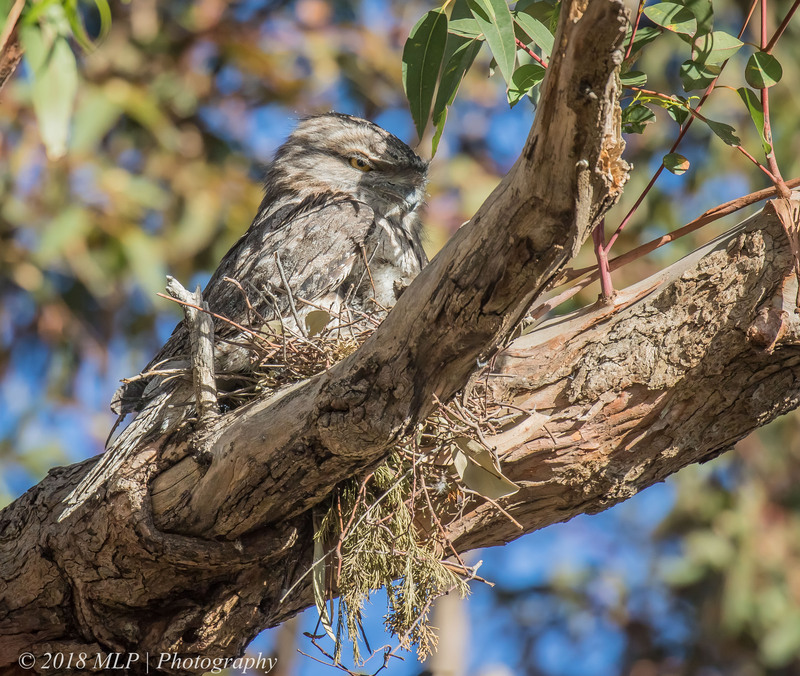 On a recent trip to the You Yangs (about 45 mins west of Melbourne), I was exploring the woodlands section below the ranger station with a friend when a nightjar burst out of an old dead tree stump and flew to a nearby branch. 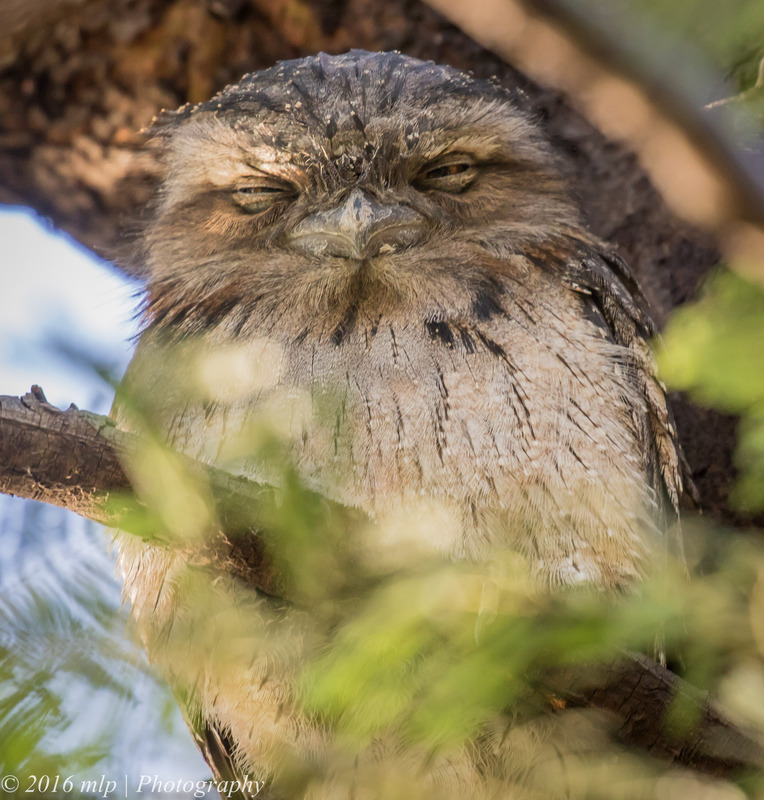 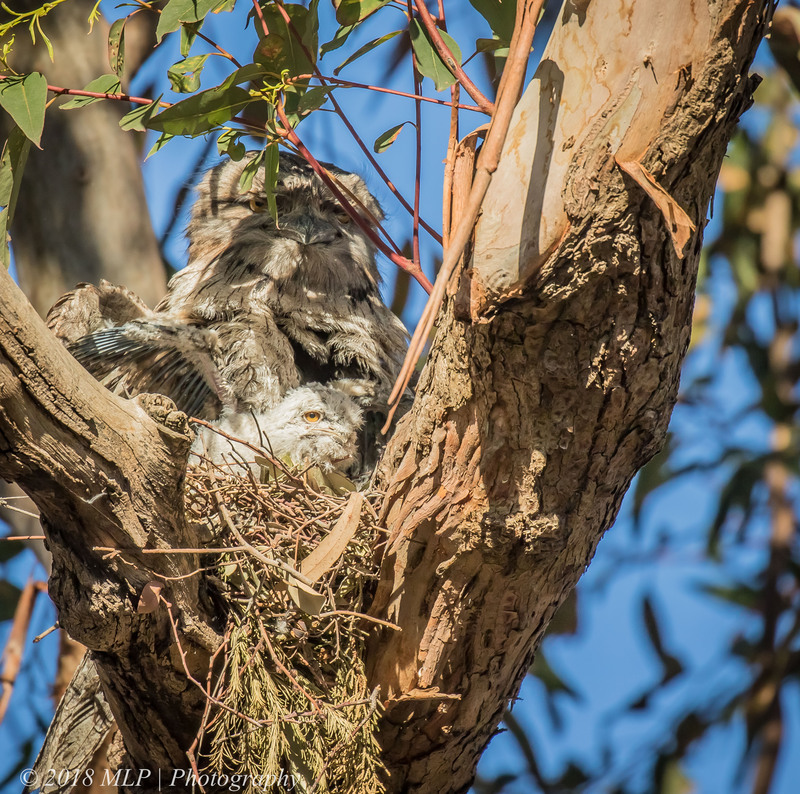 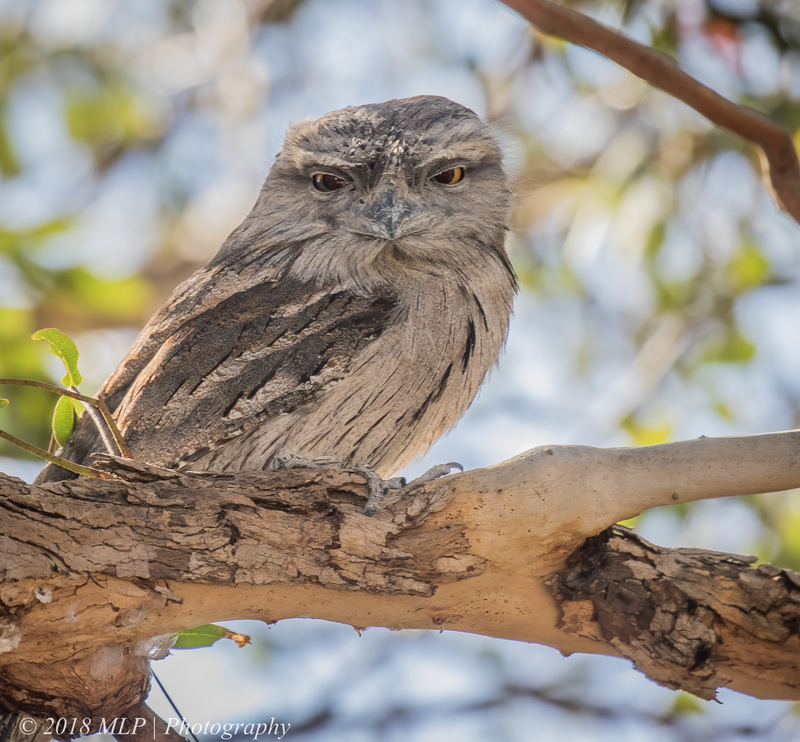 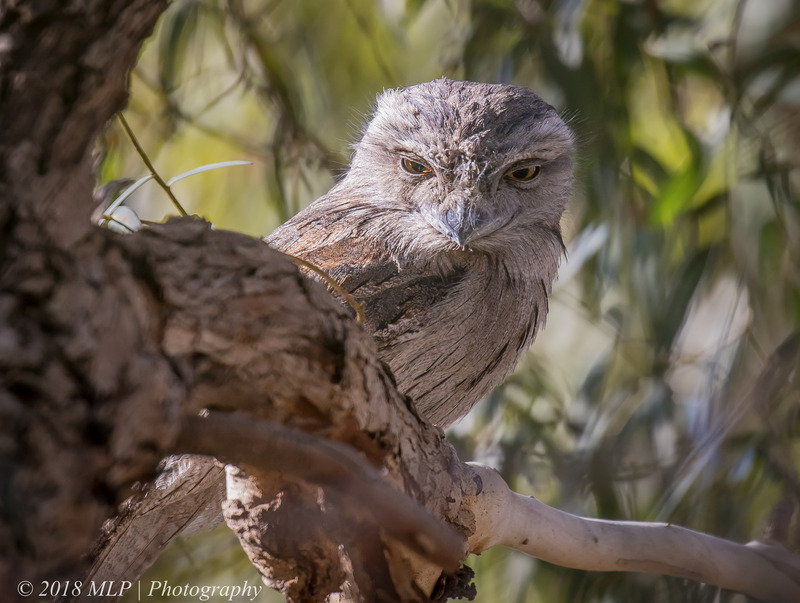 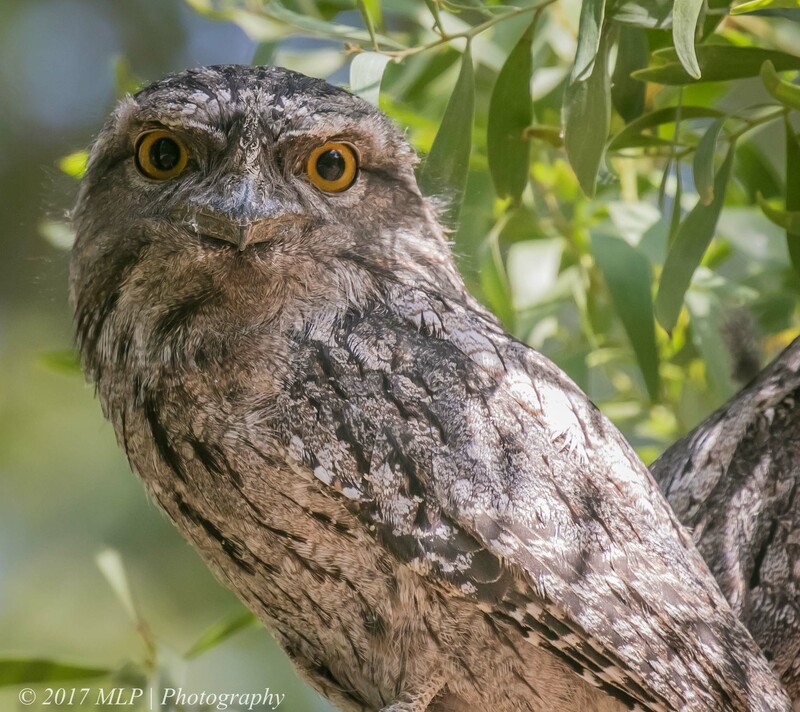 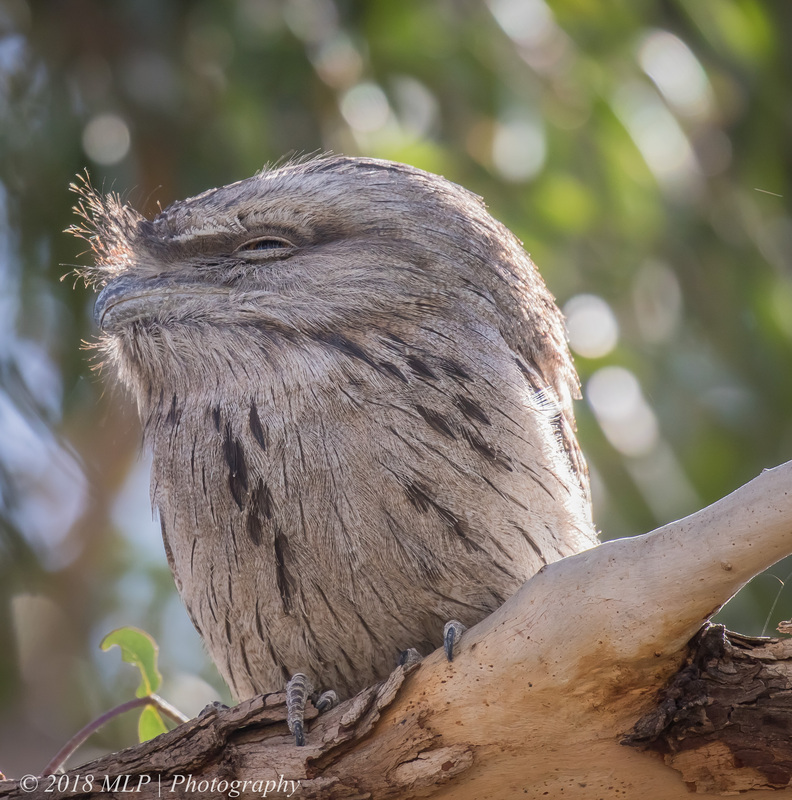 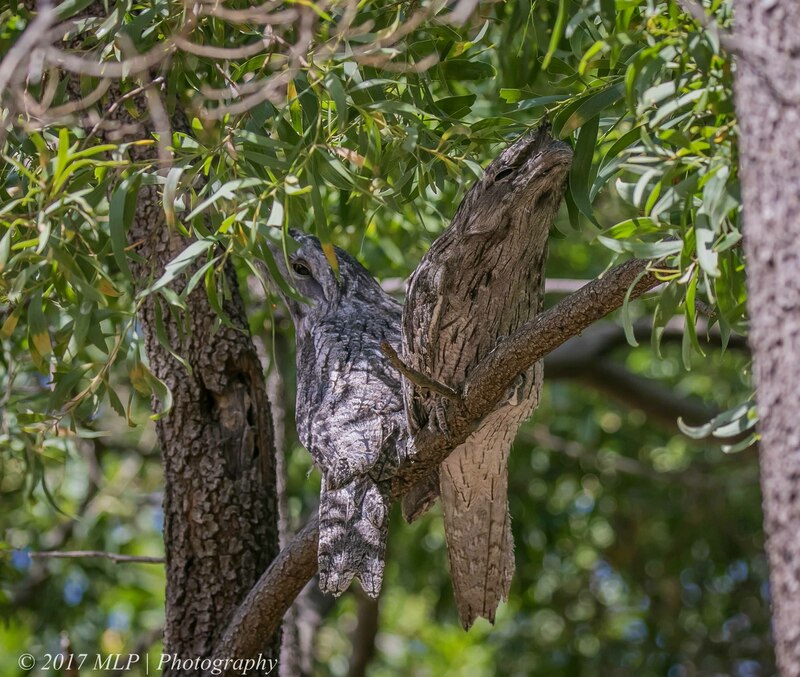 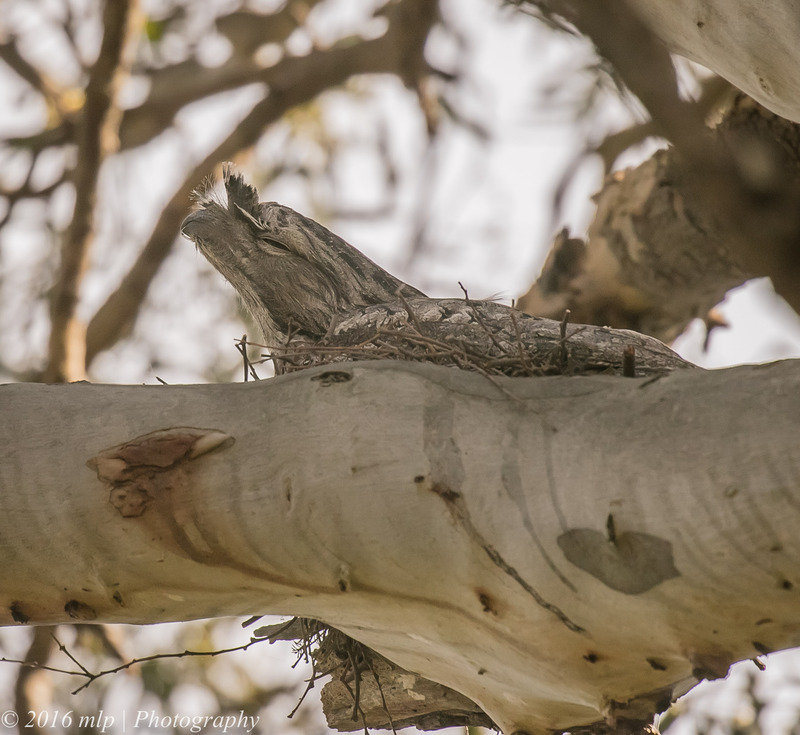 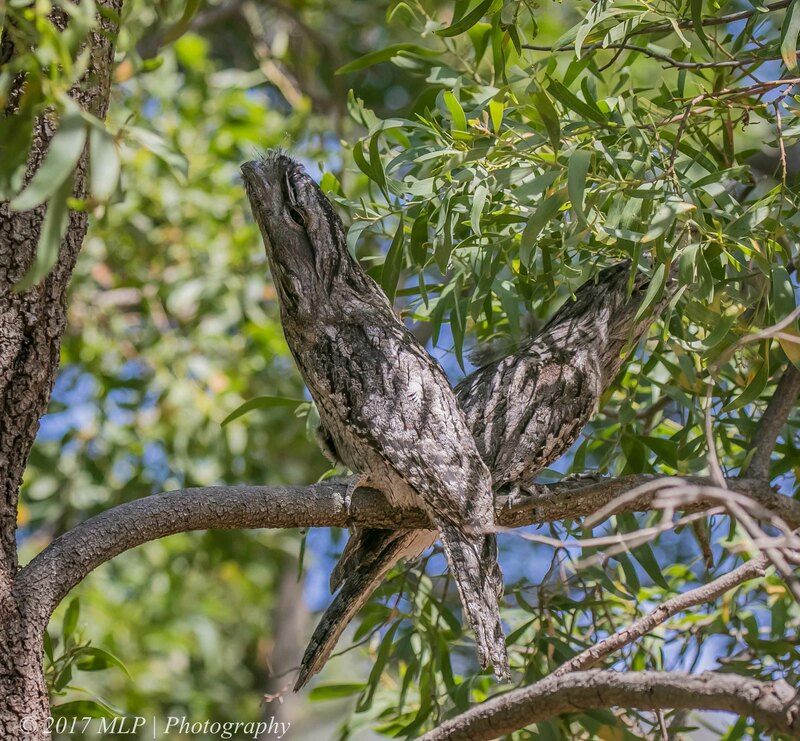 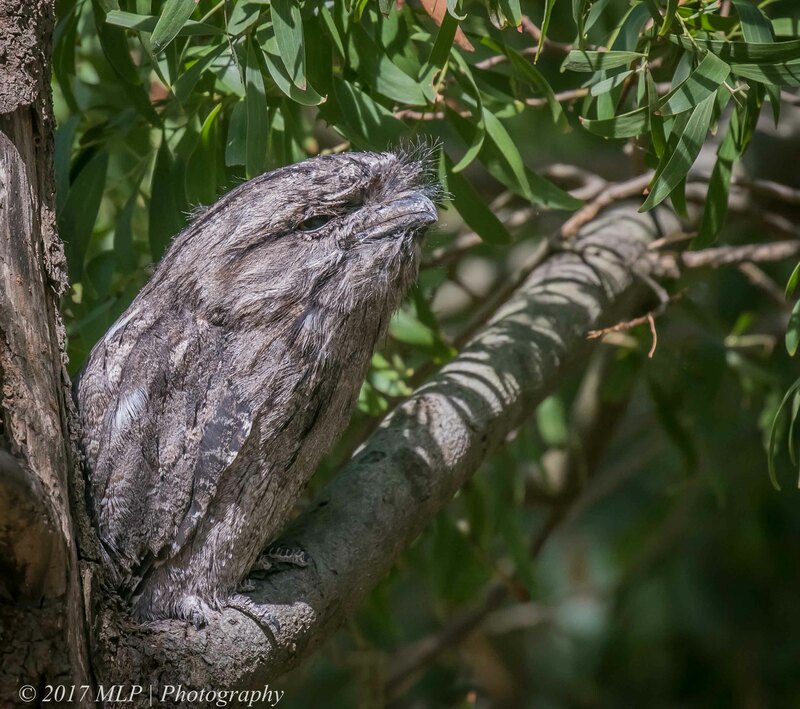 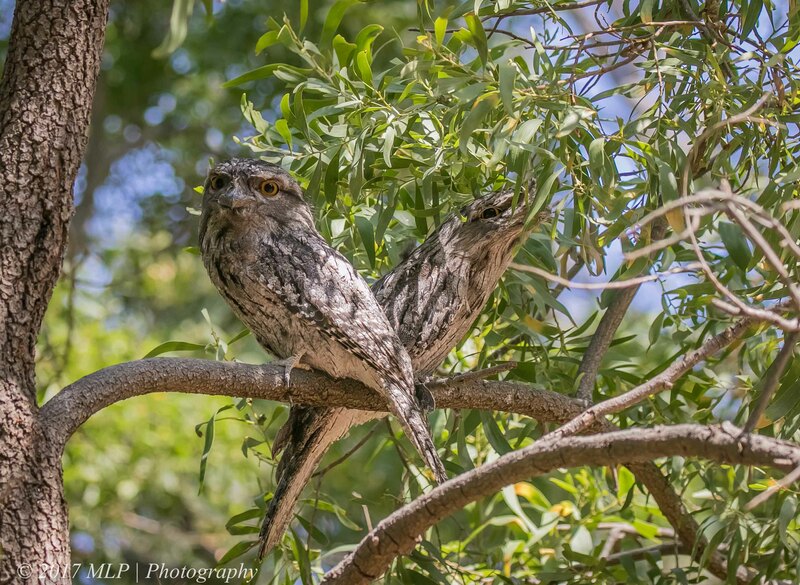 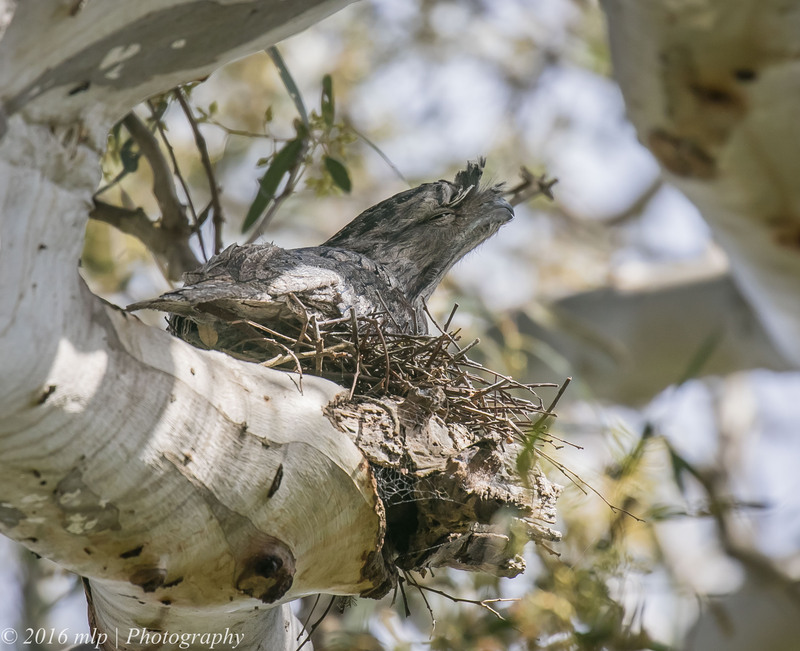 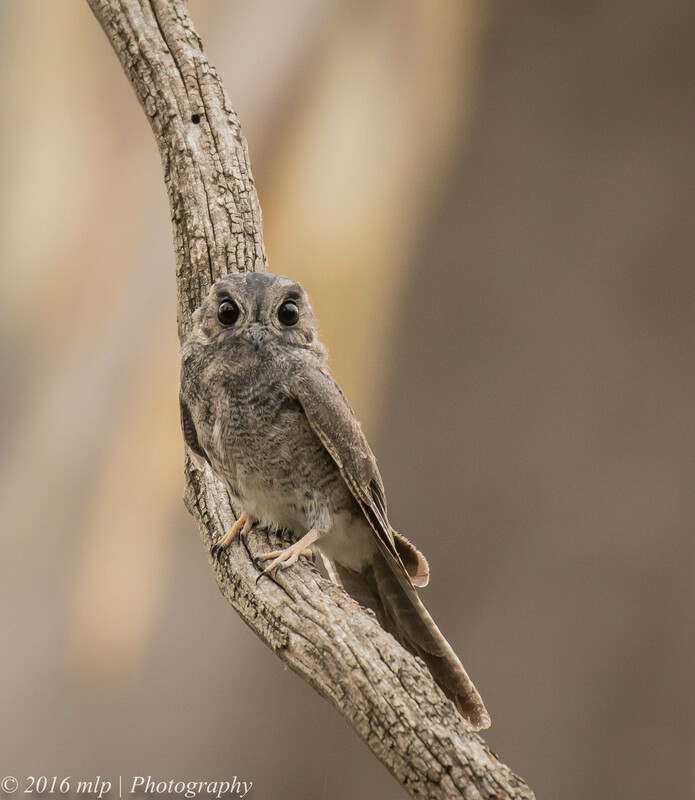 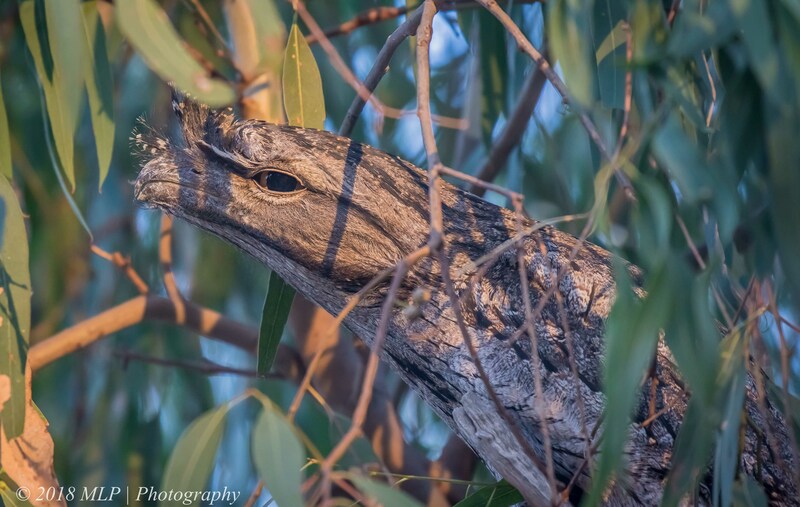 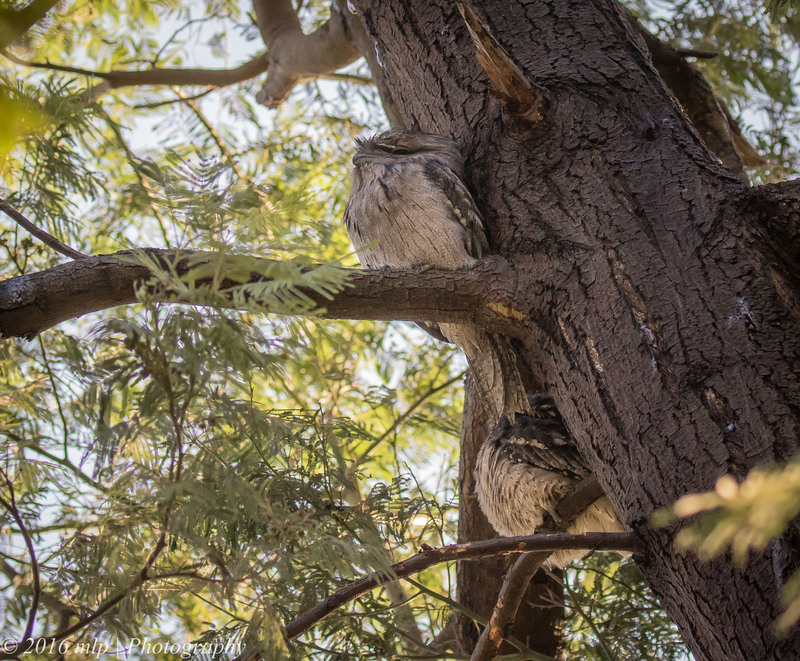 It allowed us to get close and photograph it…it was much tinier than I expected – probably a third the size of the other Nightjar species that I photograph quite frequently – the Tawny Frogmouth. 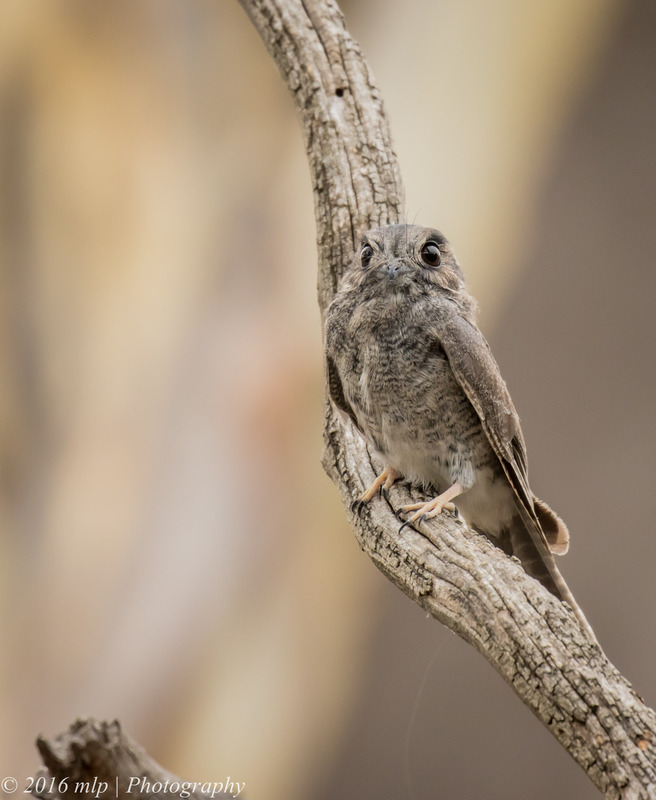 The Owlet Nightjar has superb camouflage and huge black eyes for great night vision.